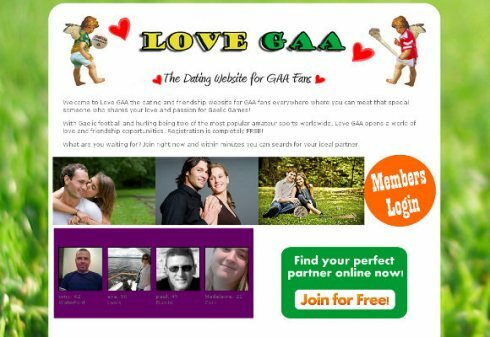 Donegal designer, Dermot Lawless, has launched an internet dating website for GAA fans, LoveGAA.ie. Lawless, owner of Aurora Web Design, came up with the idea for LoveGAA.ie (which is also available at LoveGAA.com) when he saw a commerical for a dating website during a Donegal versus Clare All-Ireland Football Championship match in July. The site will help members meet potential partners who share their love of Gaelic Games. In his view, dating websites in general are too complicated and he believes that the criteria for finding the right person misses the point. “The ad said that they could find a partner based on 29 levels of compatibility, but I thought there really is only one level of compatibility – whether your partner likes GAA games or not,” said Lawless.